September is a special month. My youngest child Sophia reached a huge milestone. She started Kindergarten. As thousands of children across the United States headed off to their first day of school, millions of children around the world did not have this opportunity. In fact, the number of children dying every year from preventable diseases in developing countries is nearly equivalent to half the children entering kindergarten in the U.S. This devastating statistic alone should be enough to make you want to do more. My daughter started kindergarten this fall. Will this girl have the opportunity to do the same? September is also a special month for the millions of voiceless children around the world who fight hard each day to stay alive. September is Child Survival month. The Child Survival Call to Action Summit was held in June at our nation’s capital with an urgent message: A plea to world leaders to act now to promote efforts to curtail child mortality. One of the outcomes of the summit was a call to non-profit organizations, businesses, celebrities and journalists to spend the month of September drawing attention to Child Survival. The urgent need to address this unacceptable, changeable reality has lead to many amazing initiatives launched this month in honor of Child Survival. Save the Children, the leader in the field of saving children’s lives around the globe, has taken things a step further in their “Every Beat Matters” campaign by using social media and rock stars to literally sing their cause, giving a voice to the voiceless. 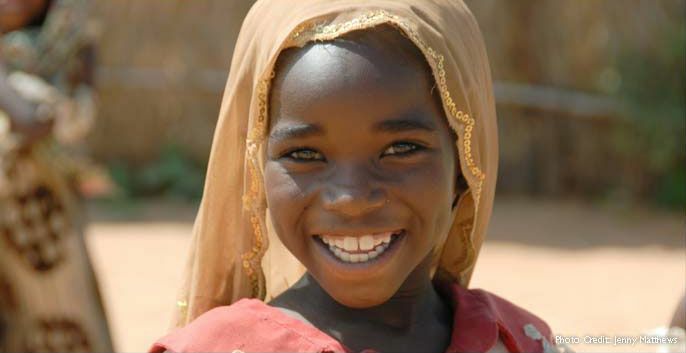 Every Beat Matters aims to make basic lifesaving health care available to children around the world so that millions more survive. Every year, more than 7 million newborns and children die before their 5th birthday-mostly from preventable and treatable causes, such as pneumonia, diarrhea and malaria. Every Beat Matters champions training and supporting frontline health care works as the best investment to sustainably improve children’s health in the world’s poorest and more remote communities”. We all can relate to the power of a song. Music has the power to bring you back to your youth and relive an experience that meant the world to you. It also has the power to inspire you, motivate you and change your outlook on life. 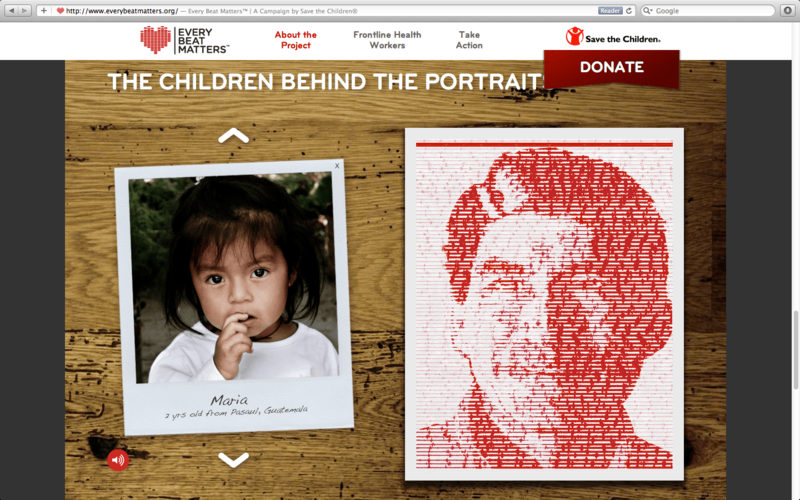 Save the Children has brilliantly championed the power of a song to help save lives around the globe. Every Beat Matters is not your every day social good campaign. It is extraordinary. 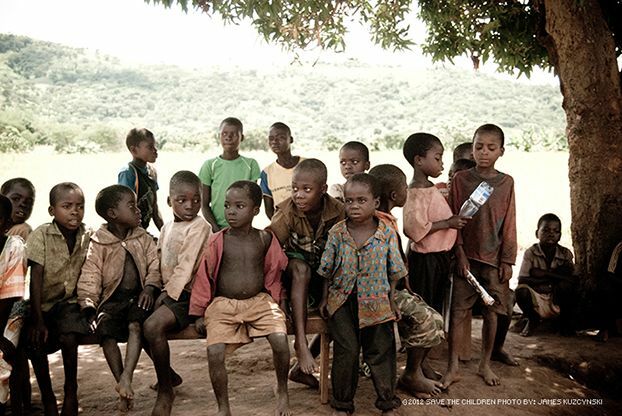 In a strategic partnership with the popular American band OneRepublic, Save the Children has done something completely off the charts. They recorded the heartbeats of children that they serve in far off, remote places in the world, and carried their heartbeats back to be placed inside a new hit singled called “Feel Again”. When you listen to the song for the first time, it feels as if the children are somehow present. 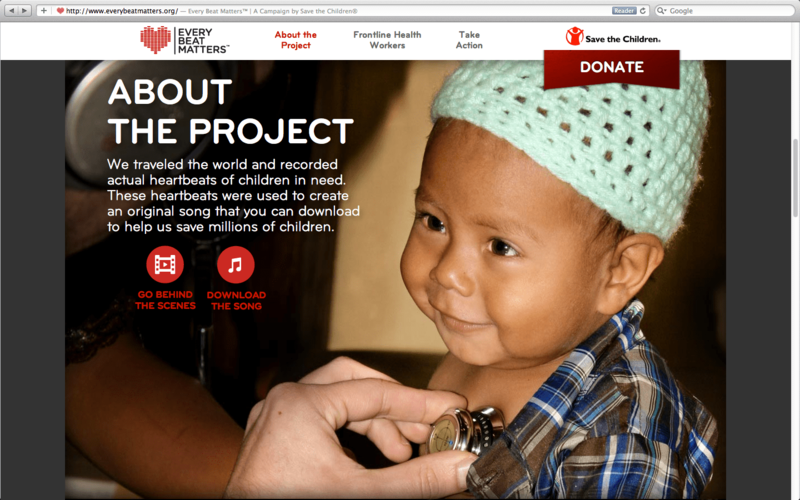 On Every Beat Matters’ website, you can listen to the children’s heartbeats that made the song. It is extremely touching. When you listen to “Feel Again” the music lifts you up and makes you want to dance. As one of the members of the band says in an interview about the making of the song, “Having an opportunity to be a voice for these children and be basically yelling to people that this is unacceptable” is a truly powerful feeling. OneRepublic hopes “Feel Again” becomes an internet sensation and travels far through social media to educate and motivate people to act. Download the song. Share the video of Feel Again on your social media sites. Like the page. It is amazing how easy and simple it is to give back and help save the world’s children, our hope and our future for a better day. A Heartbeat’s Journey – Every Beat Matters (perhaps the most powerful one of all). The Making of OneRepublic’s song Feel Again. An exclusive interview with OneRepublic on what making this song means to them. People can visit Every Beat Matters to download “Feel Again” and learn more about the campaign. A portion of the proceeds from each download will benefit Save the Children and help increase child survival. Great post! Thank you for the information! You’re welcome. Glad you enjoyed it and I still have the song running through my head….non-stop!